Calling all drags… time for you to be a queen! Entries have now opened for the 2019 edition of the annual Miss Drag South Africa pageant. Miss Drag South Africa 2019 was officially launched on Saturday, with a dinner attended by the media at Berta’s in Woodstock, Cape Town. At Miss Drag South Africa 2018, held at the Opera House in Port Elizabeth on 29 September, Pageant Director Enigma Von Hamburg announced that the event would move to Pretoria this year. The finale will be held at the State Theatre’s Arena Venue, on 4 October 2019. 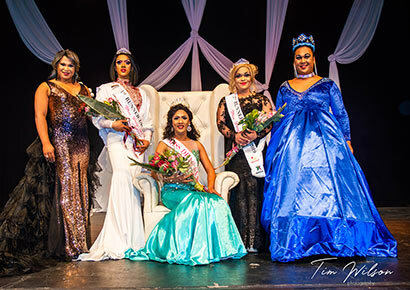 At the 2018 edition, Miss Vicky from Port Elizabeth in the Eastern Cape, competed against 14 fierce finalists from across the country to be crowned Miss Drag South Africa 2018. She won prizes to the value of R80,000, including a cash prize, wardrobe, shoes, makeup, training vouchers, a laptop, travel allowance and a holiday trip, amongst others. Entries for the 2019 pageant close on Friday 15 March 2019. The finalists and semi-finalists will be invited on a weekend bootcamp, in the first weekend of May, in preparation for the title and the gala evening on 4 October. Enigma hopes that more people will get involved with the 2019 edition, especially in terms of sponsorship. “I have a dream that one day the pageant could be on the level of Miss South Africa,” she says. Should you wish to enter Miss Drag South Africa 2019, please email the organisers on missdragsouthafrica@evhempire.co.za for an entry form, or visit the website. If you would like to become a sponsor or be involved with the 2019 edition, please contact Pageant Director Enigma Von Hamburg on missdragsouthafrica@evhempire.co.za or Alternative Media at info@alternativemedia.co.za.